Here you’ll find lots of healthy meal options along with some not-so-healthy (but really yummy!) things because, who wants to eat chicken, rice and veggies all the time?! Good Monday morning! I hope you had a wonderful weekend and are starting this week with a refreshed spirit, ready to tackle this week ahead! I’m excited about a fresh week and a clean slate to get all the things done and to continue on the healthy food journey I started. I thought I’d share what I eat in a week since eliminating meat in my diet to help you come up with healthy meal options or put together your own meal plan! 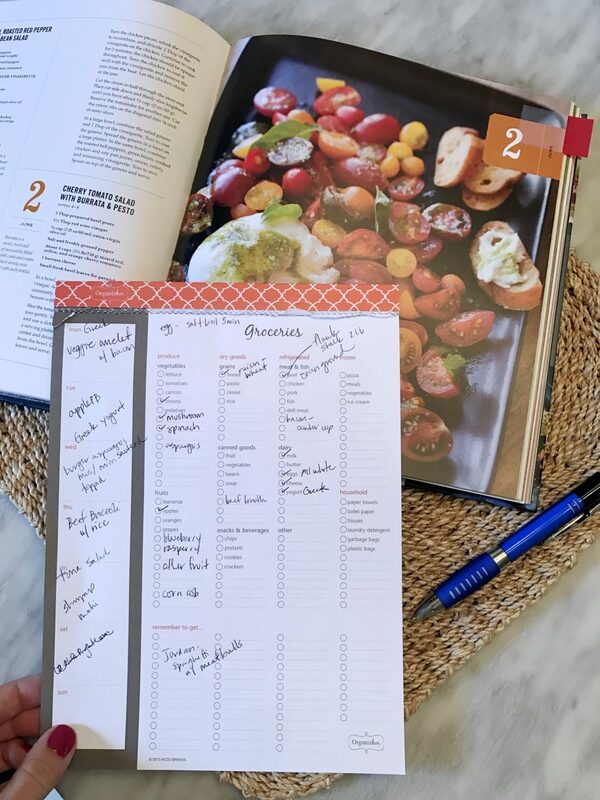 Since my meal planning post, the next obvious question is, “what are you eating?” and specifically, “what’s for dinner?” Before I started religiously meal planning on Saturday morning, I used to dread that question because I often had no good answer! My son eats the same thing on repeat, but since Jordan started eating what my hubby and I eat, I needed to have good dinner options on hand most of the time! She’s a great eater, but I realize she wants to eat real food that tastes good. As long as that’s what’s served, she’ll usually gobble it up! On Stories, when I asked you what you were most interested in or needed the most help with in organizing and productivity, I was flooded with responses! It seems we all have areas we struggle with and many of us have too much to do and never enough time! By far, the overwhelming majority of you said you wanted tips with meal planning and I totally get that! The struggle is real with “what’s for dinner?” We go through that in our house too. I’m not above admitting that some nights it’s cereal for dinner! It happens! Welcome to a new year friends! Are you feeling alive and ready?! Or more like ready to stay under the covers?! I, for one, am feeling very ambitious and excited about 2018! Ever since I was a little girl, 8 was my favorite number and my son turns 8 this year! When you have a new baby, it’s easy to think, “I never want you to grow up, stay a baby forever.” But, my experience has been that each stage and each age gets better and better as your child grows and your relationship expands. It’s truly the best thing in life! This week has been all about sharing the Honey We’re Home Christmas Experience! On Monday, we saw the first floor of our home all decorated for Christmas! Yesterday, I talked about the gifts and fun of our Second Annual Favorite Things Party! Today let’s talk about the GOOD stuff, the food!! You guys know I have my tricks for avoiding holiday weight, but that doesn’t mean I don’t indulge some too! For our Favorite Things party, everyone brought three gifts to share and a food or wine of their choice. *Thanks to Blue Apron for sponsoring today’s post! As we settle into our fall schedule of activities, I’m finding less and less time to do my meal prep. Time to call on Blue Apron! I’ve used this service before with great success. This time I was looking to do one of their meat-free options to change it up because my husband has been on a semi-vegan kick lately. The Summer Vegetable Paella was a perfect way to end our “summer” and head into fall with a festive dish! Happy Monday friends! This weekend flew by and I’m feeling like I need a rewind! My in-laws were visiting with us, so we kept things pretty low key and just hung out. I had some down time, so I went through all 46 pages of the women’s Nordstrom Anniversary Sale catalog online and narrowed down the “must haves” from each category so you don’t have to feel like you missed something- there’s too much! Then, after going through everything, I had to place another order- shhh, don’t tell Jimmy!! for things I didn’t see in my store and wanted to try out. I’ll share them with you on Friday when the sale opens to everyone! In the meantime, if you find a field of money trees, send directions!! On Sunday, I got to visit a very special friend in the hospital and I wanted to ask for your prayers for this precious little girl named Savannah. She’s just two days older than Jordan and has already undergone her second open heart surgery. On Sunday, she was doing well and in great spirits, smiling and scooting around her hospital room floor in her Minnie Mouse pajamas, showing me her toys and handing me books to read to her. She’s already been in the hospital for 3 weeks this time and so ready to go home. I don’t even know how her mom is holding up, but she says any mom would do the same. She’s asking for all the prayers she can get that the surgery was successful (she won’t know for 3-6 months) and if you leave your well wishes in the comments or on my Instastories, I’ll forward them onto her. Thank you so much! 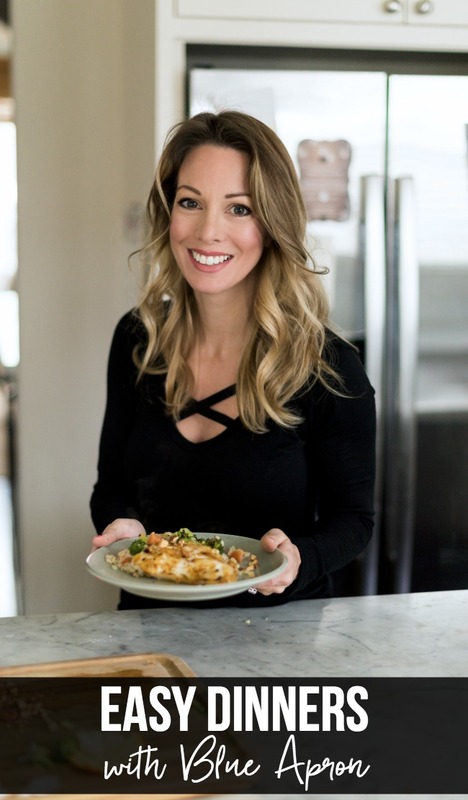 Today, I’m answering two of the most frequently asked questions around here- what do I eat in a day and how do I plan my weekly menu?? Although my bikini contest prep days are in the past, I still try to eat healthy most of the time with protein at each meal and 4-5 meals each day. I’m hungry that often, so it’s no problem for me to eat that often and I never skip breakfast! I would chew my arm off! I do indulge in sweets though- it’s my weakness! I workout 4 times a week and still prefer a strong, athletic build, and even though I’m still working on my ab separation, I have seen an improvement with consistent workouts and more ab-focused exercises. I’m not the biggest fan of grocery shopping just because it usually takes so long and it’s harder to complete with kids in tow, so I sometimes order groceries online for pickup at Kroger or my husband goes. Usually on Saturday morning, I take stock of what we have left in the refrigerator (not much), throw out the bad leftovers, and spend a good 30 minutes browsing my cookbooks or Pinterest boards for healthy meal inspiration. I have to think about including Jordan in these meals now since she’s a good eater who eats a lot and thankfully, everything! James is still super picky and eats his same food without much branching out. I’ll usually pick 4 recipes to cook and plan for leftovers, along with a couple things to eat for lunch and snacks to have on hand. Using this Grocery List magnetic pad helps me organize things because I can write on the left side what we’ll be eating and put the groceries we need on the right. I think it’s out of stock now and I might cry because it’s the pad I like the most! Hi guys! Did you have a good weekend?! Ours slipped through my fingers like quicksand! It was one of those busy, busy ones where I feel like I definitely need another day of weekend! Yesterday, it was off to the car show and James’ favorite restaurant (iHop). I love doing weekend outings together, but at the car show, I was mostly chasing Jordan and trying not to lose the boys! But at least I was comfy! Flats and soft, cozy pants for the win! Good Monday morning friends! I hope you had a great weekend and are starting the week feeling refreshed and ready to go. Our weekend was packed with baseball and parties and even a couples’ date night, which is always a good thing. In my quest to become a better cook this year, and so I don’t get bored with my typical meals, I committed to trying one new recipe a week. One new recipe doesn’t feel too overwhelming and has been pretty easy to incorporate, especially if you take a few minutes on the weekend to decide what the recipe will be. My intention is to branch out, get more comfortable with cooking and new flavor combinations, and try different cooking techniques. I use Pinterest, cookbooks, websites and also Blue Apron to mix things up. Because I’m trying to get back into good shape before Jordan’s first birthday, I’ve been sticking to a diet that’s 40% protein, 35% carbs, and 25% fat. It’s the same thing I did during my 40-Day Challenge, except I upped my protein by 5% and lowered my fat 5%. I got good results then, so I’m back at it! I needed to after ALL the food and sweets I ate during the holidays! I always weigh myself first thing in the morning when I wake up, but by the time I weigh-in at the gym, I’m a couple pounds up. I decided to go with my weight at the gym since that’s the number my trainer uses when calculating my body fat. Our weekly meal prep is still in full effect, but after trying Blue Apron a couple months ago, we (my husband especially) were looking forward to doing it again. Second week of summer is in full effect! Now that the weather is getting hotter and we’re spending more time outdoors (and at the pool! ), I know a lot of you are wanting to get in better shape. You’re not alone! Even though I’ve lost most of the baby weight, I still have about 5 pounds to lose and I’d like to put back on the muscle I lost while I was pregnant. 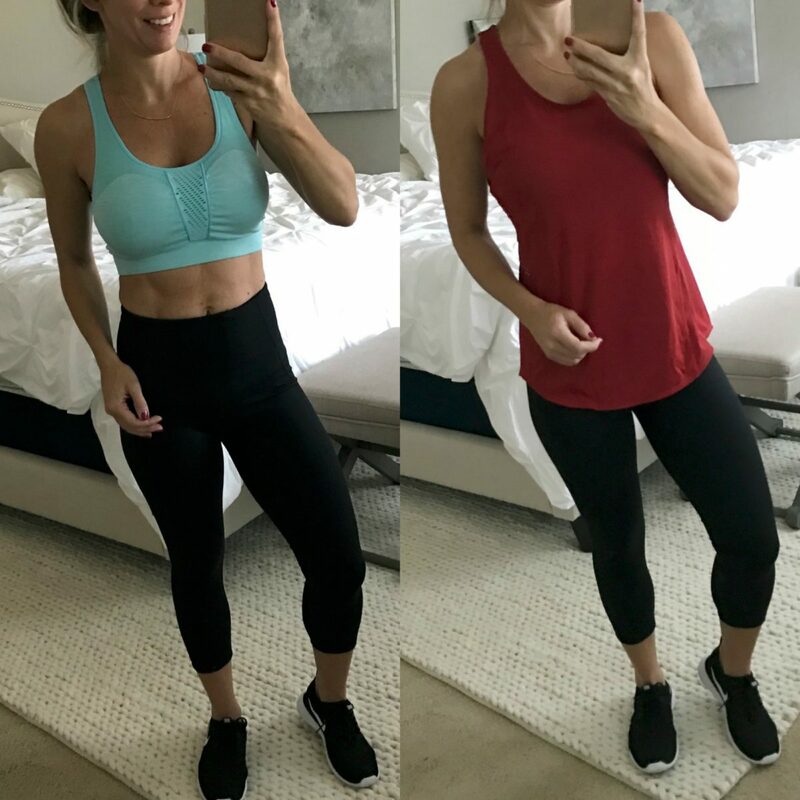 I won’t be able to workout with my trainer as much this summer, and I know most of you probably workout alone too, so I’ll be sharing some of my workouts tips this month. We knew it couldn’t last forever and that all good things must come to an end. That doesn’t mean it wasn’t hard to say goodbye. We received the very.last.meal from the meal train that our wonderful friends set up for us last week. #waaaaahhhhh!!!! Such a sad day! Suddenly we are faced with having to plan, shop, and prepare our own meals again. We got so spoiled by having these meals delivered, piping hot and freshly prepared, right to our front door. But now it’s time to fend for ourselves again. Life is hard, right?! Well, it kinda is with a newborn!